Fill with small ornaments, figurines, ivy, blooms or a small vase. Couple with votive candles and timber slices to create a warm centerpiece or mantel piece. 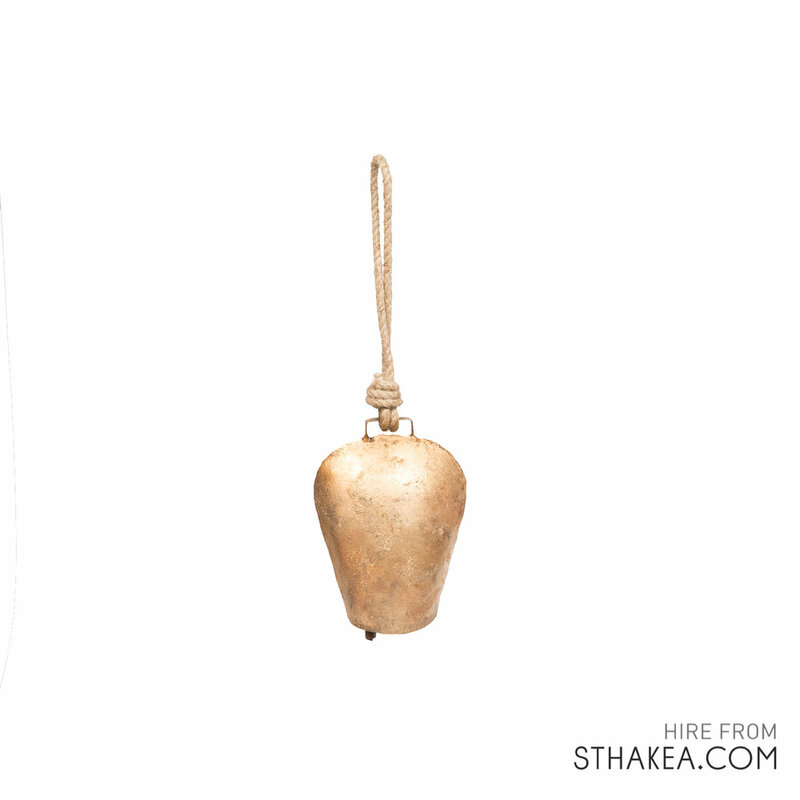 Mixed size gold bells are perfect to add interest within a Moroccan/Indian/bohemian theme. 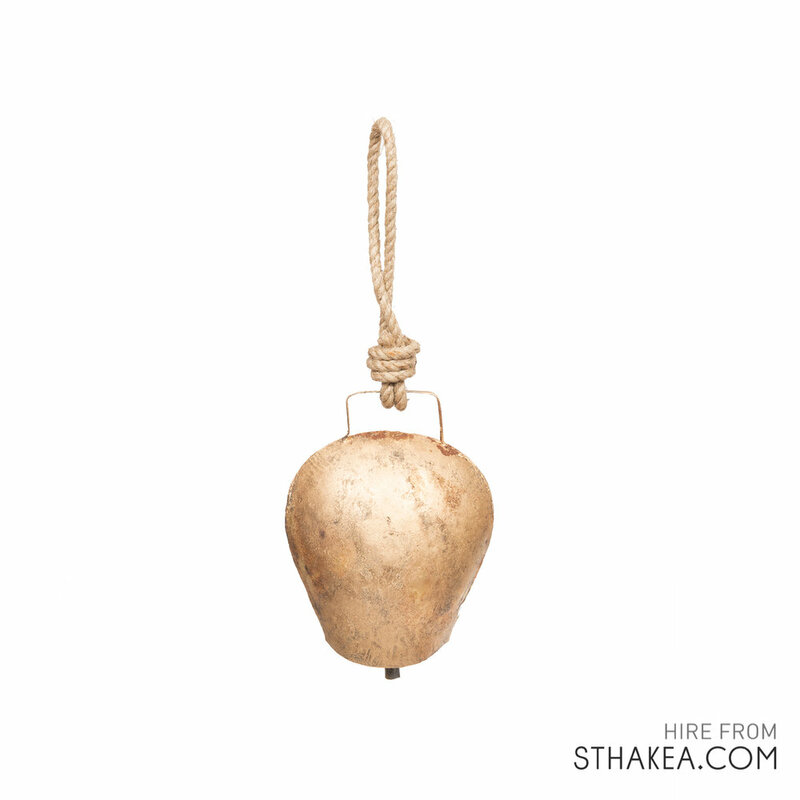 Add these bells with rope to the roof of a Moroccan style tent amongst lanterns to create an ambient vibe or as a fresh take on Christmas theming. Mixed set of 3 - $15.